When Vaughn Quaye’s older sister goes missing in Big Sky Country, she’s willing to risk everything to hunt down the only man who seems to know anything about the mysterious mail order bride agency that closed under suspicious circumstances. Except Vaughn is risking more than her life–she’s discovering a universe of danger and desire she never knew existed. 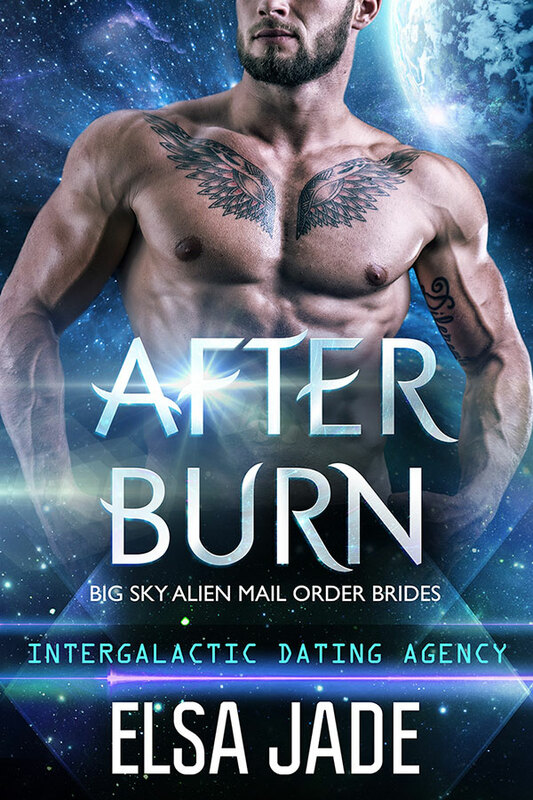 Dejo Jinn, sole proprietor of Jinn Data Recovery, just wants to steal–no, sorry, not steal, recover–the data left behind at the abandoned Intergalactic Dating Agency when it was forced to close after mistakenly losing some brides. He has no interest in revealing his extraterrestrialness to a clueless if distractingly curvy Earther, but after they are attacked and she sees his green blood, his secret is outed. Now reluctant partners, he’ll have the chance to steal–sorry, recover–the valuable data and she’ll get her sister back. Assuming they don’t end up dead.